Digital radio multiplex operator MuxCo has revealed details of its application to run local digital radio in Suffolk from 2016. Five stations, including two new stations are proposed, with the new local service on air by the end of next year. The multiplex operator has teamed up with Lincs FM and Town & Country Broadcasting to bid for the licence under name MuxCo Suffolk. MuxCo's application was the only one received by Ofcom who advertised a local multiplex licence earlier this year. The multiplex will allow local stations to join DAB digital radio across the county for the first time. Suffolk is the last remaining county in the southern half of England to get local radio on DAB digital radio. 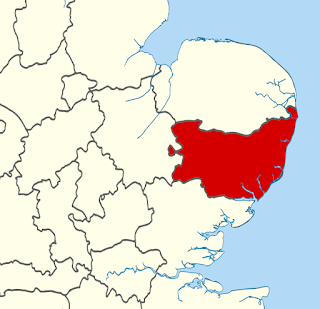 Existing FM stations BBC Radio Suffolk, Heart and AM station Smooth would be carried on the county's new multiplex alongside new stations Suffolk First and Anglia. Suffolk First would provide a locally focussed service of news, sport, entertainment, weather and traffic and travel information. Music would contain "a country music bias", according to the application. Anglia is the name given to a proposed new rock oriented music station with a mix of current and classic hits. At launch, MuxCo Suffolk proposes to cover 87% of the county, reaching 328,000 or 55.7% of adults. Transmitters would be installed at Mendlesham (Central Suffolk), Puttocks Hill (covering Bury St Edmunds) and Warren Heath (serving parts of Ipswich and Felixstowe). Earlier this year, a funding agreement between the Department for Culture, Media and Sport (DCMS) and the radio industry for the roll-out of local DAB indicated that there will be funds for additional transmitters to be rolled out in the future, which would plug reception black-spots around Sudbury. Following last week's deadline for applications, Ofcom is inviting comments from listeners and from industry on the application, which can be read here, by the 20th July 2015. A final announcement is expected around September.